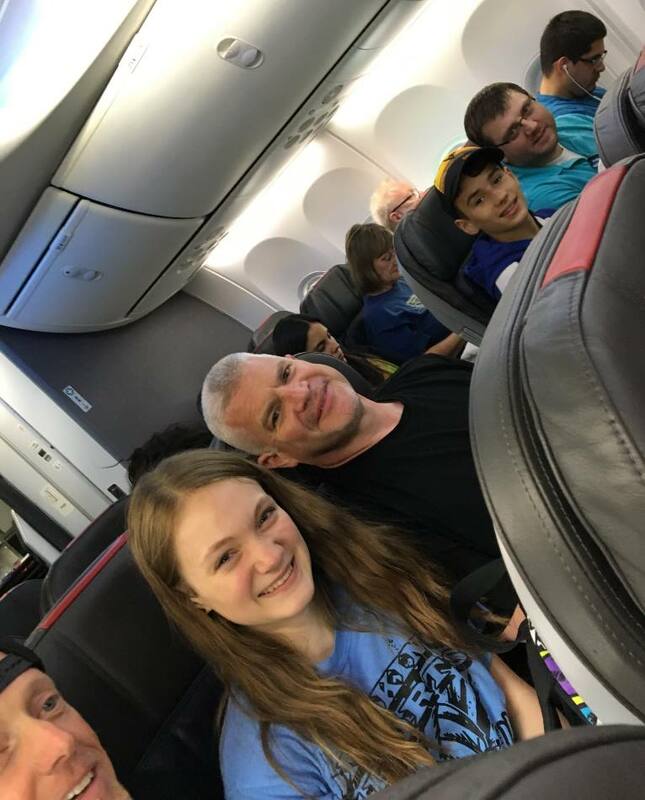 As part of the effort to increase our investment in missionary work, SRC committed to sending not one but two short term missions teams abroad this summer. Rather than alternating between sending teams to either Romania or Costa Rica, this year we are going to both. In fact, the Costa Rica team just returned from their trip. 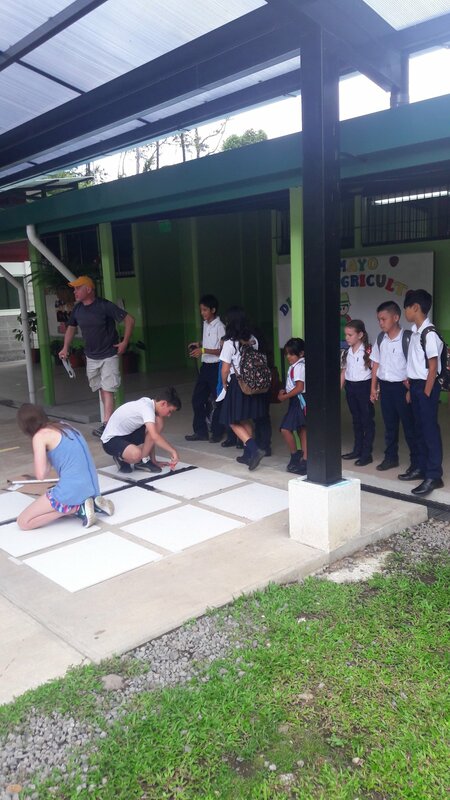 Our team of seven had the privilege of serving alongside the church in Guapiles and helping them jumpstart outreach to some areas of their community that they have targeted. Specifically, we were able to help grow the church’s relationship with a local school through some service projects. The team cleaned out an old building on the school grounds to prepare the way for some new classrooms to be built. Additionally, we painted designs on the concrete in the school’s courtyard as games for the kids to play on. Through the service, God opened the door for the team to share with some of the teachers and parents. 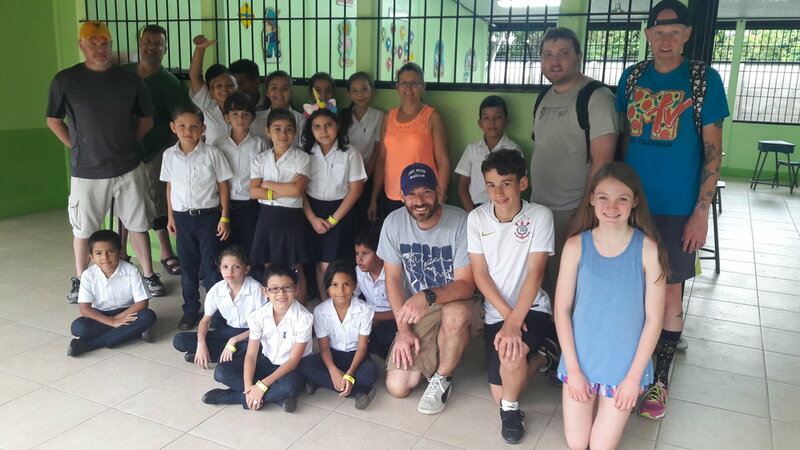 Two team members got to share their stories about how God brought them to Guapiles, and we invited them to check out the local church. The church also leveraged our presence to host a gathering event where members could invite their friends, family, and coworkers. From this event and the follow up, at least four people either turned their lives over to Jesus for the first time or recommitted their lives to him. The outcome has reenergized the church’s commitment to evangelism and desire to reach the city of Guapiles with the gospel. Lastly, a portion of the Give-Go funds collected earlier this spring was given to the local church to help provide some much-needed resources. It was a great privilege to be a part of our ongoing partnership with the Great Commission Church in Guapiles, Costa Rica. This trip represents what we believe missions is all about. Not merely showing up in another country to give but building lasting mutually serving relationships for the sake of the gospel. Thank you for your prayers and support in sending our team, and please join us in supporting the team going to Romania in July.